This week I got to spend some quality girl time with my mother in law, Karen, and my American BFF, Eliza. We took a trip to Muscat’s Grand Mosque, and believe me they call it “Grand” for a reason! It was great to go and do the tourist thing and see one of the top rated attractions in Oman. The Omani’s certainly know to impress! The mosque opened in 2001 after 6 years and 4 months of building and used they used 300,000 tonnes. The mosque can hold 20,000 worshipers at any one time and is Oman’s biggest mosque, well actually it is one of the biggest in the world but there are so many conflicting numbers online that I couldn’t possibly guess. Amazing to think that this just ten minutes drive from my house. In a Muslim country it is important for women to keep themselves covered up appropriately and wear clothes that cover shoulders and knees in public. 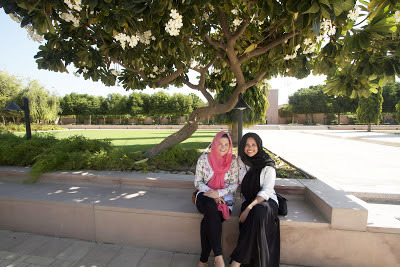 To visit the Grand Mosque we had to cover ourselves right down to the ankle, have sleeves that went to our wrist and wear a scarf that covered our hair. This is no easy task in 34 degree heat if you are used to Scottish weather. This is me covering up my hair with a scarf as instructed. Have a look at some of my photos…. There are 34 chandeliers that hang from the ceiling but this is the main one, made of Swarovski crystal and gold-plated metal work. It weighs a whopping 8 tonnes and had 1,122 lamps on it alone! This is the view from underneath, I had to lie on the ground and look up to get such an angle from below. We are doing the tourist thing! 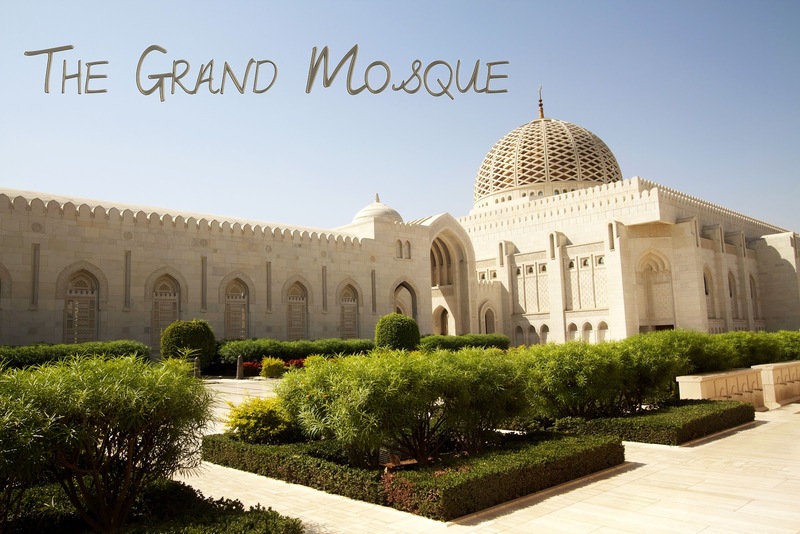 If you are ever in the area then I really would advise a trip to the Grand Mosque, it is a really impressive place and something for Oman to be proud of! I loved my visit here. Its gorgeous indeed. A must do in Muscat. Thank you Manjulika. 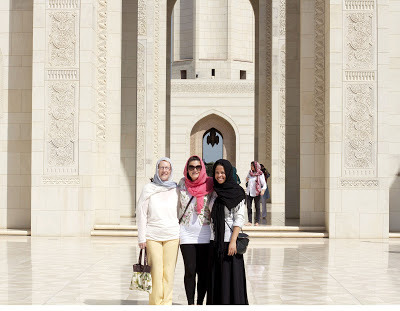 It is indeed a must-do in Muscat, we are lucky to have access to such a wonder!